The Zoo gift shops stock a variety of t-shirts, toys, plush animals, jewelry, and candy. Discover the many fun, educational items for children and adults alike. There are gifts to suit every age and wallet. Each store is unique and offers a great shopping experience. The Zoo's gift shops are located throughout the Park for your convenience. Visa, Mastercard, American Express, Discover, Debit, Apple Pay, Google Pay, Zoo gift cards, and cash are accepted at all locations. Strollers and wheelchairs are available for rent on a first-come, first-served basis at the Explorer and Safari gift shops. If you plan on renting one of these items during your visit, please get here early. These items may sell out quickly on weekends and holidays. 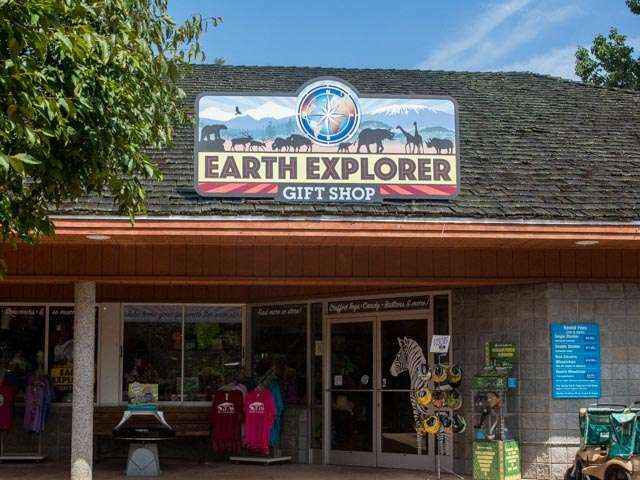 Earth Explorer carries items like toys, plush animals, apparel, gifts, souvenirs, rain gear, cameras, batteries, medicines and more. Single and double strollers as well as manual and electric wheelchairs can be rented at this location. 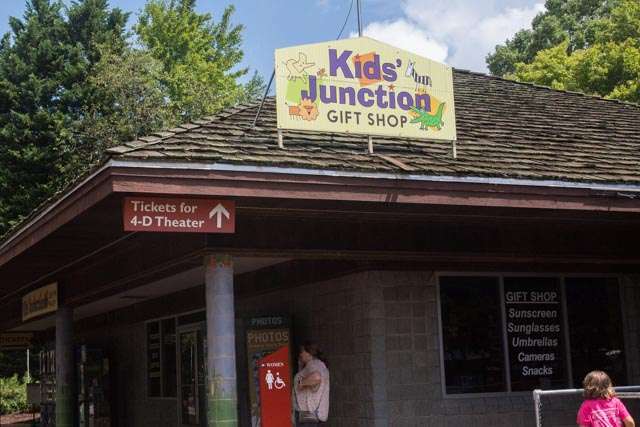 Kids' Junction is a children's store where you will find souvenirs, toys, plush animals, candy and rain gear. 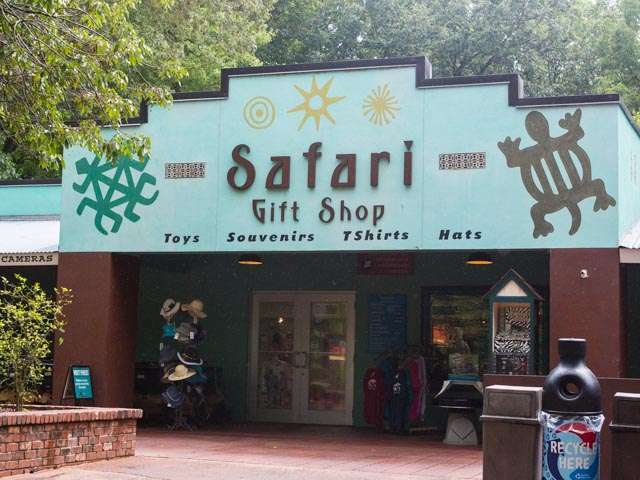 The Safari Gift Shop carries mainly African-themed items like toys, plush animals, apparel, gifts, souvenirs, rain gear, cameras, batteries, medicines and more. Single and double strollers as well as manual and electric wheelchairs can be rented at this location. 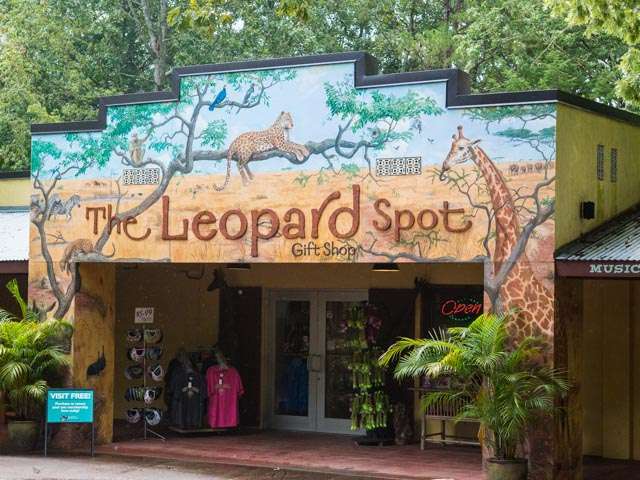 The Leopard Spot Gift Shop carries mainly African-themed items like toys, plush animals, apparel, gifts, souvenirs, rain gear, cameras, batteries, medicines and more.